Here we take a look at the 4 worst traditional martial arts in terms of real fighting. We play the What your friends / you think you do and then we hit you with reality. We tried to keep it realistic in the what really happens department so no streetfights with pretenders. Enjoy. For hybrid martial arts, as they originated from the late 19th century and especially after 1950, it may be impossible to identify unique or predominant regional origins. 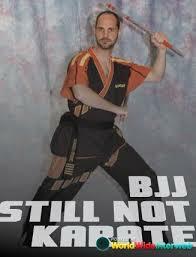 It is not trivial to distinguish “traditional” from “modern” martial arts. Chronology isn’t the decisive criterion, as, for example, “traditional taekwondo” was developed in the 1950s, while the “modern” hybrid martial art of Bartitsu was developed in ca. 1900. A large portion of traditional martial arts can be categorized as folk wrestling (see the separate article), although in some cases a folk wrestling style and a modern combat sport may overlap or become indistinguishable from each other once the sport has been regulated.